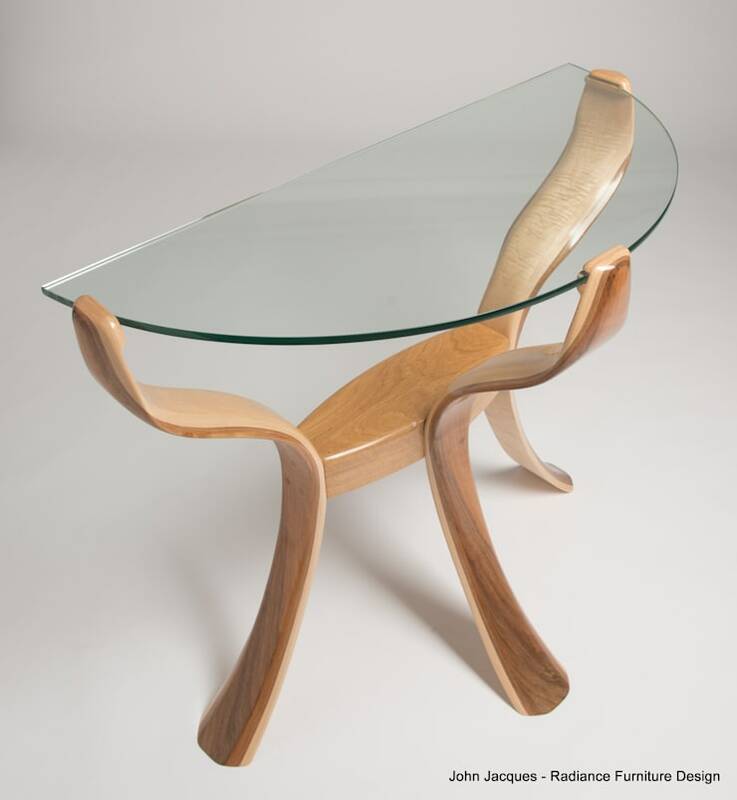 A half circle glass topped console table made from English walnut and ripple sycamore with an English oak centre piece. 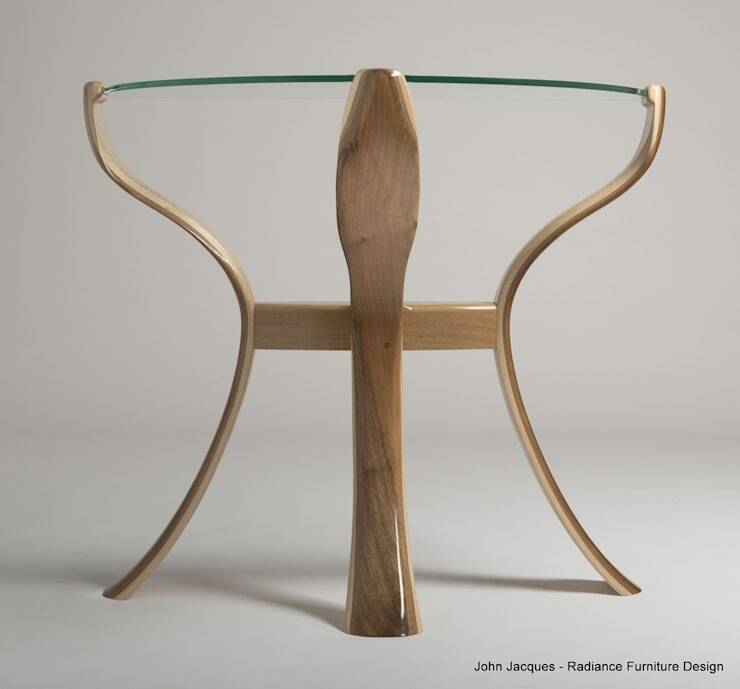 A different shape from my previous Blooming Lovely Flower Tables, I've kept a flowing curve to the legs with contrasting beautiful woods following the edges. 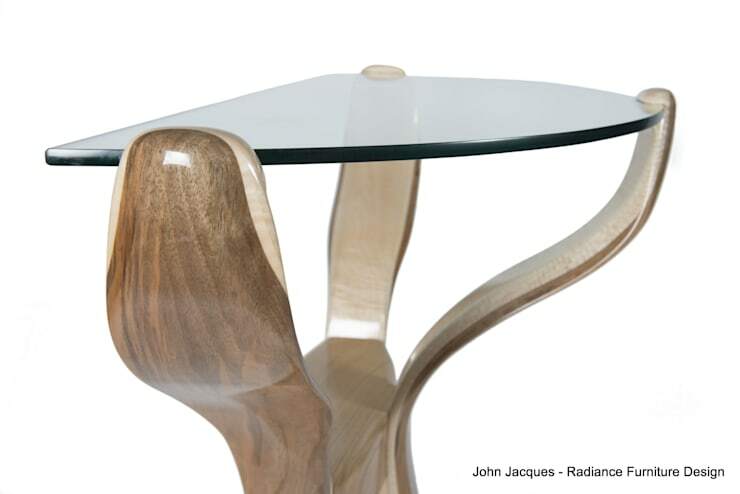 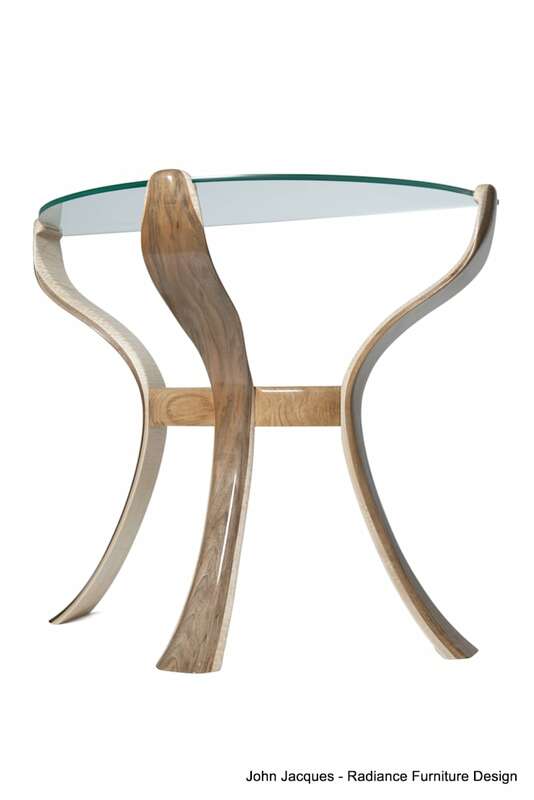 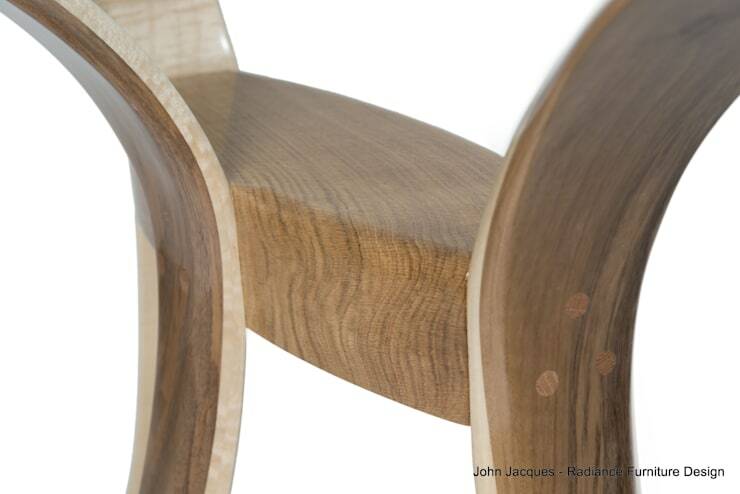 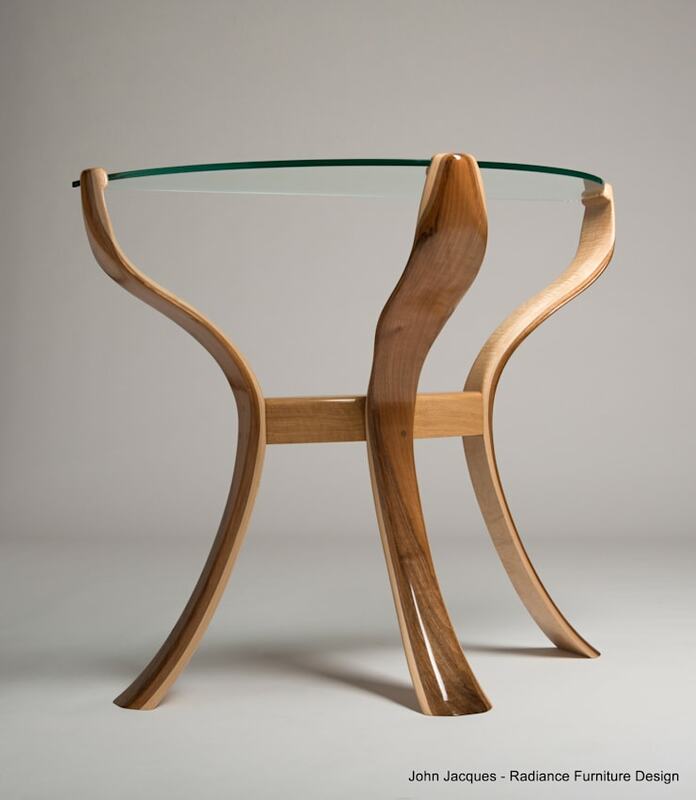 The legs 'wrap' over the glass to hold it firmly in place and make the overall elegant structure strong and solid.